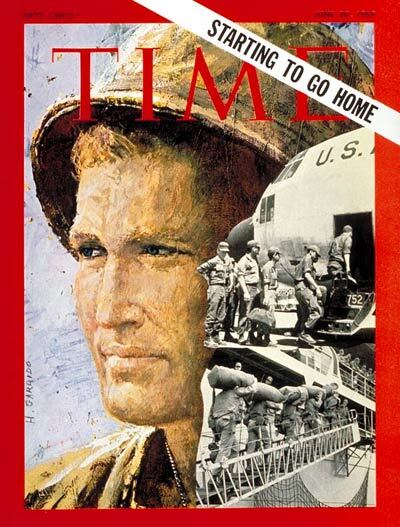 Time Magazine, June 20, 1969, Magazine Cover, Collection of New-York Historical Society. 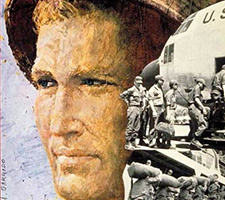 As the war effort escalated and journalists flowed into Vietnam, Americans’ skepticism of the war was on the rise due to various media reports. One such report was produced by Harrison E. Salisbury of The New York Times. In 1966, Salisbury reported that the United States had killed thousands of civilians during their bombing campaigns. The government refuted these reports, claiming that Salisbury’s casualty figures were the same used by the North Vietnamese government. Regardless of whether the casualty reports were true, they undoubtedly stoked the fires of the antiwar movement. In January 1968, the US Embassy in Saigon was attacked during the Tet Offensive. This attack had wide-reaching consequences, not only for the U.S. Government’s war in Vietnam, but for the battle over public opinion. As the media relayed the news of this attack to the American people, public perception of the war changed and morale declined. As public opinion mounted against the war, newly elected President Richard Nixon tried to rally the “silent majority.” This was the group of people he believed were the vast majority of Americans who supported the war but were not vocal about it. On November 3, 1969, Nixon announced his plans to withdraw from the Vietnam War. Nixon’s speech called for unity among the American people saying, “let us be united for peace. Let us also be united against defeat. Because let us understand: North Vietnam cannot defeat or humiliate the United States. Only Americans can do that.” The speech elicited a vocal response from the previously “silent” majority, and the White House received thousands of letters and telegrams in support of the government’s war efforts. A study of the Vietnam War is incomplete without understanding the media’s impact on its outcome. As the main source of information about the war, the media had the ability to mold the public’s perception. Canadian Professor Marshall McLuhan said that, “Vietnam was lost in the living rooms of America – not on the battlefields of Vietnam.” Mcluhan is right; the Vietnam War was the first time that the media had such a strong impact on the minds of Americans, and continues to play a significant role today. Spector, Ronald H. “The Vietnam War and the Media.” Encyclopædia Britannica. Accessed August 02, 2017. https://www.britannica.com/topic/The-Vietnam-War-and-the-media-2051426. Page, Eric. “Harrison E. Salisbury, 84, Author and Reporter, Dies.” The New York Times. July 06, 1993. Accessed August 03, 2017. http://www.nytimes.com/1993/07/07/obituaries/harrison-e-salisbury-84-author-and-reporter-dies.html?pagewanted=all. “Silent Majority.” Silent Majority. Richard Nixon Presidential Library. Accessed August 03, 2017. https://www.nixonlibrary.gov/forkids/speechesforkids/silentmajority.php. “Marshall McLuhan Quotes.” BrainyQuote. Accessed August 03, 2017. https://www.brainyquote.com/quotes/quotes/m/marshallmc139258.html. "Women Who Make $10,000 a Year or More"